Cute novel with a bit too much fluff and not much substance. When teenage movie star Graham Larkin accidentally sends small town girl Ellie O’Niell an email about his pet pig, the two seventeen-year-olds strike up a witty and unforgettable correspondence, discussing everything under the sun, except for their names or backgrounds. I was really looking forward to reading this book but unfortunately, it didn’t quite live up to the hype. I’m not saying I didn’t like this novel, but there were lots of things that irritated me about it, and I felt like there was something missing from it overall. So many things were left open at the end but there are no plans for a sequel, as far as I’m aware. I really enjoyed the premise: girl receives anonymous email from boy, they hit it off, he turns out to be a movie star and falls madly in love with this ordinary girl. However, there was some definite instalove going on here. We didn’t get to read many of the emails, which is a bit of a shame, and there wasn’t much development of the relationship throughout the novel (not least because they spent a large chunk of it not talking to one another) so I didn’t really feel it. Then, the ending came all of a sudden and there was no resolution to any of the plot points, including Ellie’s relationship with Graham and her relationship with her father. It felt like a great big chunk had fallen out of the book leaving loads of questions unanswered and therefore leaving me feeling kinda disappointed. In a way, it almost seemed like a bit of a lazy, rushed novel, actually. Unfortunately that makes it a novel I’m likely to forget quite quickly. If you’re looking for a light read to take on holiday and read within a day, This Is What Happy Looks Like is an ideal candidate, though don’t expect anything amazing. It was simply good. Not great, and not awful, but somewhere in between. I’m not giving up on Jennifer E. Smith as an author just yet. I’m looking forward to reading her other novels and I get the feeling that I’ll enjoy them more than this one. 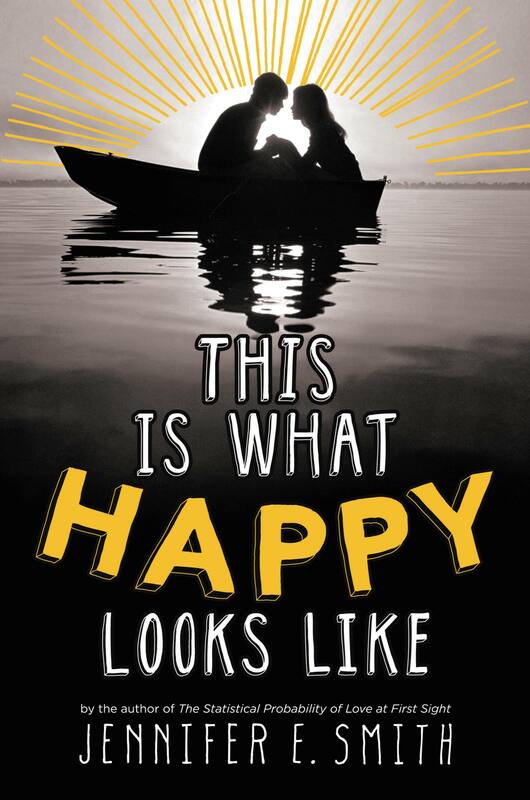 Have you read This Is What Happy Looks Like? I’d love to know your thoughts. You might like This Is What Happy Looks Like if you enjoyed one of the following. Alternatively, if you’ve read This Is What Happy Looks Like and enjoyed it, here are some recommendations for your TBR list.